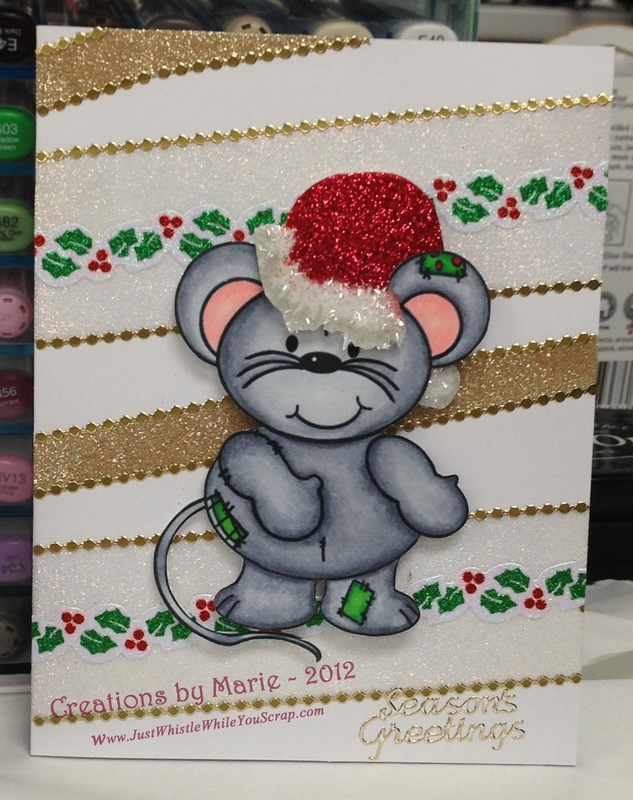 Marie, Your mouse is adorable and love the whole card. I just love that card, Marie. That mouse is adorable. Love what you did with the tape and Glitter Ritz.